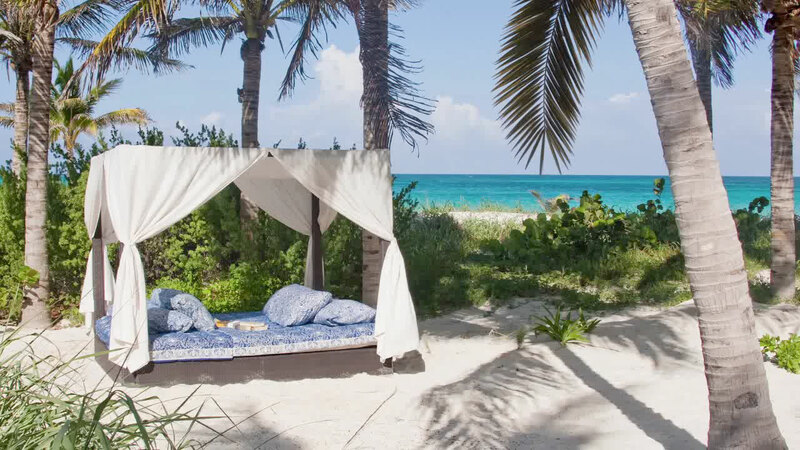 Enter an enchanting estate perched on the edge of the Caribbean Sea, on Mexico’s mystical Yucatan Peninsula with miles of secluded white sand beach. Here, the only people you encounter are those you have invited. Feel the cool breeze as you relax in the shade of a thousand coconut palms. Awaken your senses with a swim in the calm, azure water, or seek the adventure of a deep sea fishing expedition. Enjoy the wildlife and beauty of a lush and peaceful tropical forest. Masterfully built, Hacienda Palancar offers unparalleled luxury and state-of-the-art amenities. Balance the feeling of living on a private island, with every benefit and comfort of home, including easy accessibility from anywhere and the convenience of a helipad. 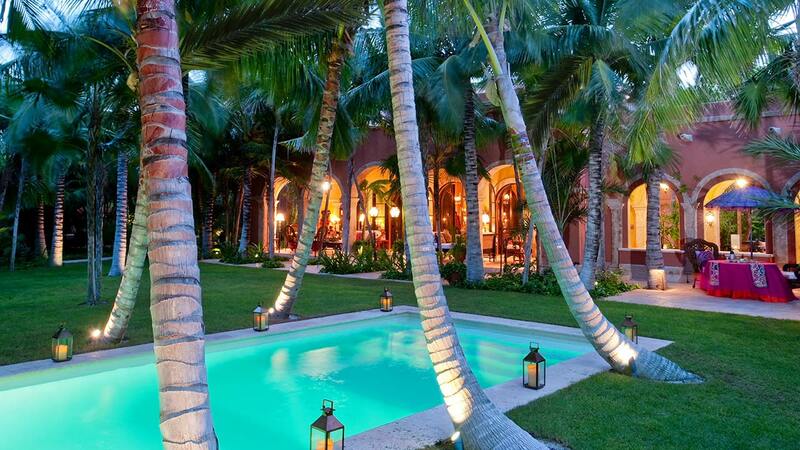 Hacienda Palancar is located in the Yucatan Peninsula on the coast of Quintana Roo, Mexico, a 30-minute drive south of Tulum. The 86-acre estate lies between the Capechen Lagoon and the Caribbean Sea in the heart of the one million acre Sian Ka’an Nature Reserve, a protected UNESCO World Heritage Site. The estate can be reached by air, car, and/or helicopter. 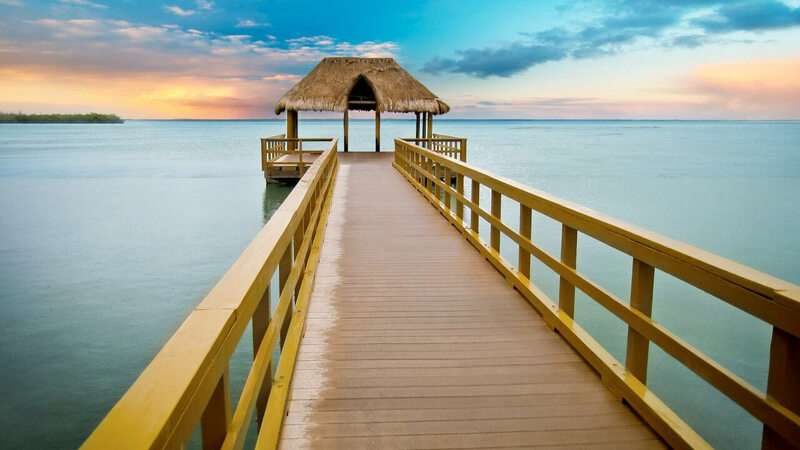 It is a 2-hour drive from Cancun Airport, or a 20-minute flight by helicopter. 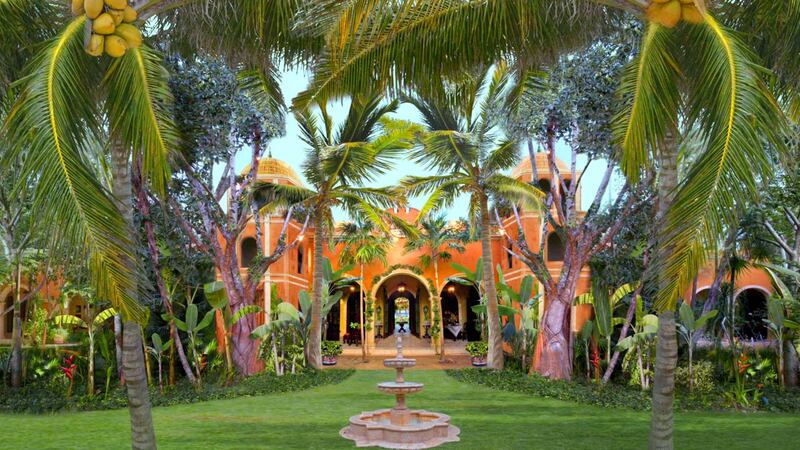 Feel the timeless spirit of Spanish colonial design in Hacienda Palancar’s strong and stunning architecture. Named after the Caribbean’s second longest coral reef, Palancar took 6 years of meticulous planning and two years of painstaking construction, completing in 2009. Step into a treasure trove of fine culture as you enter a traditional Spanish arrangement, inspired by classic architecture and world-class design. 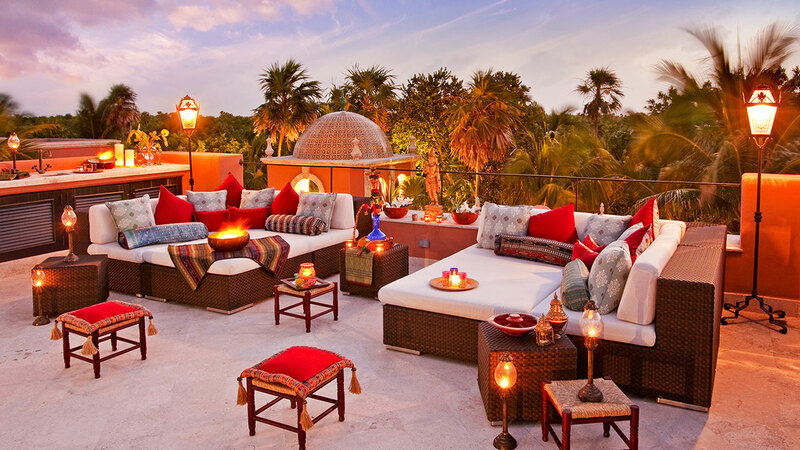 Dine and relax under the stars on scenic rooftops, surrounded by grand miradors influenced by the Islamic architecture of Spain. Walk the stone corridor to the main kitchen, inspired by a 16th century convent in Oaxaca, with its high domed ceilings, skylight and hand painted tiles. Sit in the breakfast room and enjoy a meal over the soothing sound of rolling tides as you gaze over the majestic ocean. Guests will admire the authentic attention to detail and fine craftsmanship at every turn, from the hand carved beams and wrought iron details to the Italian chandelier and colorful, hand painted tiles. Every portion of the home was thoughtfully designed and expertly executed by local craftsman, international artisans, and families with centuries-long traditions in their respective crafts. Marvel at the hand painted frieze of Italian artisans along the 20-foot high ceilings, the superior stonework by a local family of traditional stonemasons, and the Anglo-Indian style furniture. Enjoy true outdoor living with Hacienda Palancar's grand miradors. Inspired by Islamic architecture, these graceful rooftops traverse the length of the buildings. Here, you can entertain, dine or relax under the stars with guests. Perhaps one Hacienda Palancar's most elegant architectural features are its sweeping, wraparound verandas, which connect each of the properties five buildings. Featuring stone floors quarried in the Yucatan and graceful arches, these elegant verandas offer tranquil indoor/outdoor living and relaxation. Here, on Hacienda Palancar's sweeping 86 acre estate, the wild meets the refined. 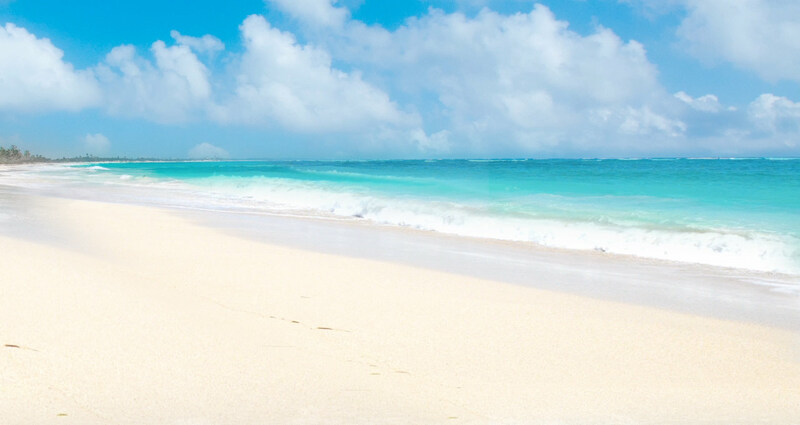 Enjoy utter serenity as you’re surrounded by nearly 1 kilometer of private white sand beach, lagoon, and mystic forest. Your guests are sure to relish Hacienda’s magnificence with its 19,000 square foot construction, 5 buildings, 13 bedrooms and 17 bathrooms. Fully equipped and completely turnkey; all furniture, cars, boats, and kitchen appliances are yours to keep. Arrange a stay overnight to experience Hacienda’s elegance firsthand. Dive into the pool, surrounded by the shade of palm leaves, and experience one of Hacienda Palancar’s abundant amenities. Imagine stepping off the grid, yet with the luxury of staying perfectly connected. The estate offers a total respite from modern life or, as you wish, conduct business and personal matters with state-of-the-art technology, video teleconferencing, and total WiFi connectivity — whether from the shores of the beach, the shade of the forest, poolside, or even the tops of the miradors. Awake each morning to stunning ocean vistas, as gentle trade winds cool the room and bellow nearby palm leaves. 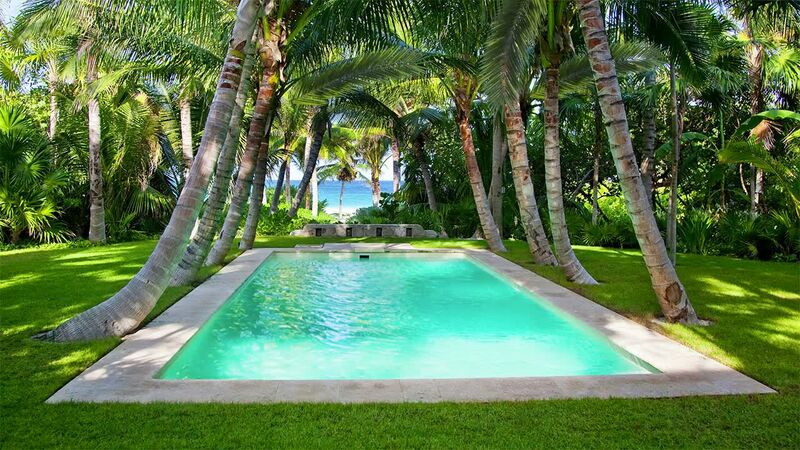 Follow a private footpath under the shade of coco palms and step onto the shores of your private beach. Enjoy nature's quiet solitude or indulge in a variety of world-class activities from scuba diving to paddle boarding and fly-fishing. Swim along the Caribbean’s second longest coral reef, “Palancar," lending Hacienda its name. Take in nature’s wonders as you explore the breathtaking lagoon, a hallmark of the reserve. Indulge in some of the most famous fly fishing in the world, float down a tranquil river springing up from the underground cenotes, or kayak along secret channels with tunnels of wild orchids overhead. Discover nature’s wild and wondrous beauty from the comfort of your estate. Watch the majestic sea turtles return to lay their eggs, and marvel at Hacienda’s abundant wildlife; from birds, reptiles, and kinkajous, to spotted jungle cats, large and small. Experience and preserve the natural beauty of one of the most important nature reserves in Mexico. As a UNESCO World Heritage Site, the reserve is an integral part of the life of the indigenous Maya people. Journey through nearby famous archaeological sites and take in nature’s vast wonders. Conserve, save, and live in balance with nature. The buildings of Hacienda Palancar were engineered to collect rainwater in swimming pool sized cisterns beneath the buildings. There, the water is fully filtered, processed, and stored, to be completely potable and reusable throughout the home. Enjoy the peace of mind of knowing your estate is completely self-sustaining and energy efficient. Hacienda Palancar features the largest array of solar panels in private hands in all of Mexico. You’ll have enough energy to meet your normal use needs, and more. But just in case, three large, state-of-the-art diesel generators have been added as back up. Create a lifetime of memories while enjoying each moment to the fullest. Only moments away from The Boca Paila Fishing Lodge, the premier destination for flats fishing, experience world class fly, spin or bait fishing from the clear Caribbean waters. Catch a “Grand Slam”—a bonefish, permit and tarpon all on the same day—yoga at sunset on the beach, trail bike on forest paths, stargaze on the miradors, or curl up and watch a great movie with popcorn and margaritas in the living room. The world is your oyster and only awaits your imagination.